If you are not happy with waxing, tweezing, or shaving, to remove unwanted hair, laser hair removal in Delhi may be a best option worth considering. Predictability: Most of the patients have permanent hair loss after an average of five to seven sessions. Speed: Each pulse of this treatment takes a fraction of second and has the ability to treat many hairs at the same time. It can treat an area approx the size of the quarter every second. Precision: Without even damaging the surrounding skin, lasers can selectively target coarse and dark hair. 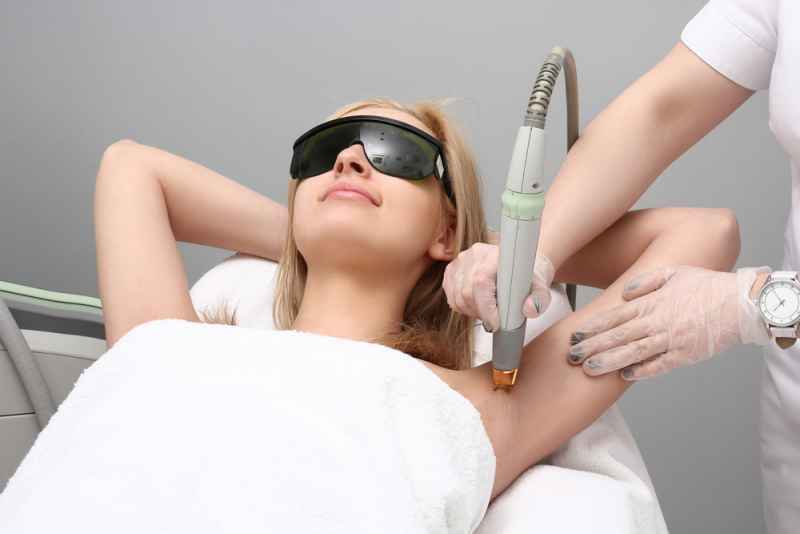 What should you expect during your Laser hair removal treatment? Just before your procedure, the hair that will be undergoing laser treatment will be trimmed to a few mm (Milli Meters) above the skin surface. The equipment used for the laser will be adjusted according to the area, thickness, and colour of the hair as well as skin being treated. What is holding you back from experiencing your best feeling? From reduction of acne, spots, scarring to wrinkles and vein removal, choose a skin treatment clinic for your every type of skin care consultation. Enhance and Rejuvenate what makes you, you. Here is a list of non-invasive treatments that can help you to maintain a youthful and natural appearance and show off your best features. Laser treatment can reduce the overall appearance of pigmentation and gives you a fair complexion. Reduce the overall appearance of capillaries and gain a boost self confidence. Leave the skin rejuvenated, energised, and radiant. It is a non-surgical process to reinforce the skin’s supportive element to plump and firm the skin. Reduce acne scarring, improve skin tone, reduce your pore size, and firm your skin. It is an advanced treatment that promotes new cells production and polishes the skin. It helps many skin conditions and stimulates the skin production of new collagen. To get the best treatment related to your hair removal or skin treatments, book your appointment today with “Advance Clinic”.